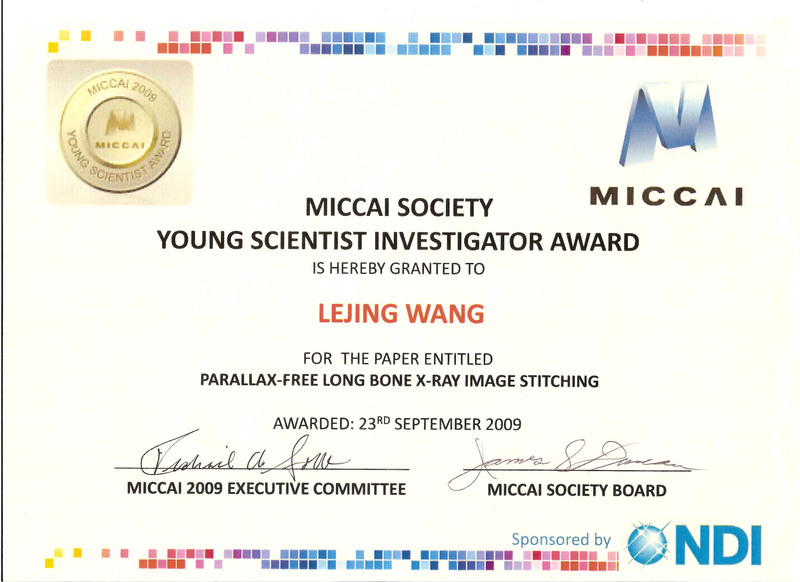 "Long Bone X-ray Image Stitching using C-arm Motion Estimation" at BILDVERARBEITUNG FÜR DIE MEDIZIN (BVM 2009), in Heidelberg, Germany, 2009. "Camera Augmented Mobile C-arm: Towards Real Patient Study" at BILDVERARBEITUNG FÜR DIE MEDIZIN (BVM 2009), in Heidelberg, Germany, 2009. 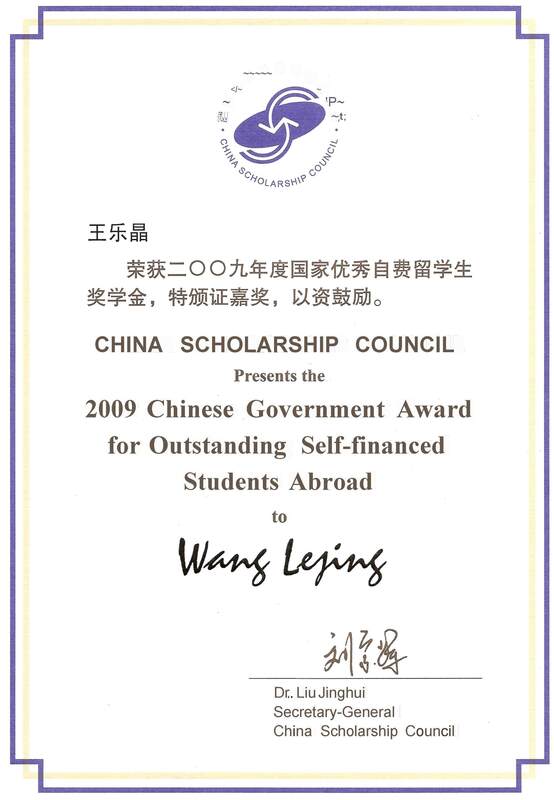 2009 Chinese Government Award for Outstanding Self-financed Students Abroad . 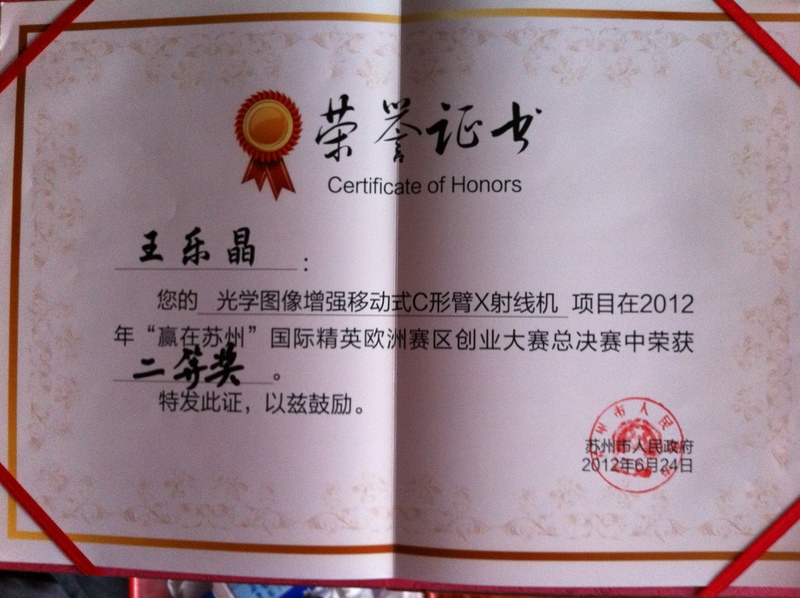 The 2nd Prize out of 133 submissions in “Win in Suzhou Final Venture Contest for International Elites in Europe 2012"